Many UK businesses now insist on using recycled paper stocks for all their routine print requirements. The wide range of stock options available make it very easy to switch standard print jobs onto recycled paper and it’s usually amongst the first steps businesses take to reduce their environmental impact and achieve costs savings. The finish and colour characteristics of recycled papers is excellent and their production impact is significantly more environmentally friendly than virgin paper. Those businesses that want to evidence their commitment to environmentally sound practices generally specify both eco print and eco paper for their print jobs. If you are considering using recycled or eco paper stocks, it will be important to understand the facts about the many options available to you. Here are some of the key facts that can help you make an informed decision about your commercial printing specifications. There are varying definitions of what constitutes a recycled paper. Waste that has left the mill and is generated from a cutting or slitting operation undertaken to meet a commercial order. Printed or unprinted – waste collected from a printing operation which may be either ‘trimmings’ (guillotine waste), ‘overs’, ‘rejects’ or any other similar waste received direct from a printer. All of our printers waste is collected and sent for recycling. Segregated plain or printed waste collected from any of these places. Any combination of waste collected from the three sources listed above is considered genuine recovered fibre and counts towards the minimum percentage required for recycled material. Mill broke does not contribute to genuine waste. TheNAPM has been the accredited Trade Association for UK paper and board wholesalers for over 75 years. 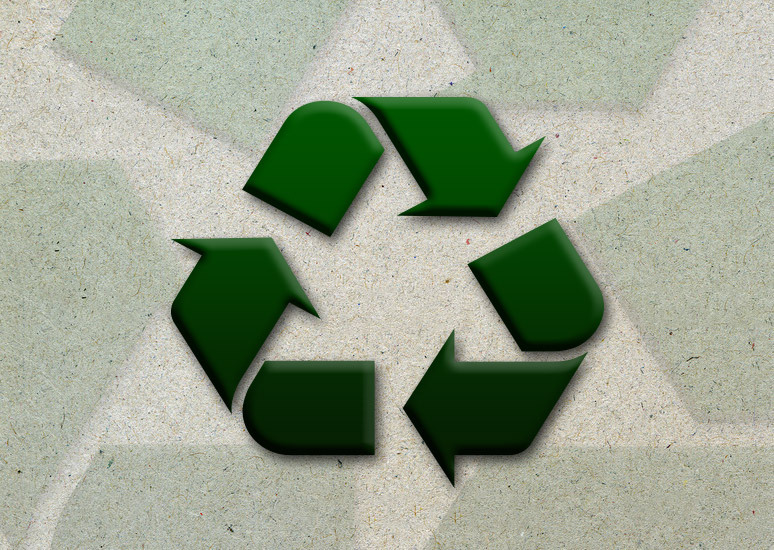 If you are considering printing on recycled paper here are the answers to some of the most frequently asked questions. What about Quality and Performance? Improvements in the quality of recycled paper means that the quality and performance is equal to that of virgin paper – particularly if choosing top of the range recycled papers made from 100% de-inked waste, such as the Cocoon brand we use. No! Recycled paper has aligned with conventional paper prices in recent years due to increase in demand, refinement of the papermaking process and the significant reduction in energy and water needed to make recycled paper compared to conventional paper. This is paper that has been used by the consumer and returned for recycling, thus keeping it out of a landfill. The more post-consumer waste that is incorporated into recycled material the lower its environmental impact. Virgin fibre is new fibre that has never been used by a manufacturer before to make paper or other products. Pre-consumer waste is the material that occurs as a by-product to the printing process, such as printers trim, make-ready and overs. We segregate all of our pre-consumer waste and have it collected each week for recycling. What is Mill Broke and Recovered Fibre? Mill Broke occurs during the paper making process e.g. trimmings and faulty paper which goes straight back into the pulping process. Since it has never been used in a product, it does not count as recycled fibre but is defined as recovered fibre. How is Ink removed from Paper for Recycling? Sometimes the ink is not removed from the paper when it is processed but allowed to disperse into the pulp, discolouring it slightly – which is why some recycled paper can have a greyish tinge. 1. Washing – As the paper is pulped, soaps are added which separate the ink from the paper and allow it to be washed away in water which is then be cleaned and re-used. 2. Flotation – Air is passed through the pulp producing foam which captures at least half of the ink and can be skimmed off. Sometimes the pulp is also bleached; hydrogen peroxide is most commonly used as it breaks down into water and oxygen on disposal, although chlorine bleach is sometimes still used. All of our recycled paper stocks are certified PCF (Process Chlorine Free). Although the de-inking process uses water and chemicals, it is still less harmful to the environment than the manufacturing process of making new paper. Ink that is removed from recycled pulp can be burned to generate energy to run the paper mill, or sold to make useful materials such as compost or gravel for roads. What are ECF and TCF Papers? ECF (Elemental Chlorine Free) and TCF (Totally Chlorine Free) papers are made from pulp which has been bleached using hydrogen peroxide instead of harmful chlorine. Recycled papers are de-inked and if necessary are brightened with hydrogen peroxide or inert, harmless brightening compounds. We only use TCF and ECF papers. Acid free paper has had the acid removed from the pulp leaving it with a neutral pH of 7. Should I choose Recycled Papers? Choosing to use recycled paper is essentially an ethical issue and as such mainly dependant on personal or company attitudes towards CSR – Corporate Social Responsibility. 1. Reduce landfill – using recycled paper diverts waste paper from entering landfills. Landfills are a source of methane emissions, which are a contributor to global warming. What is equally important is that landfills are rapidly becoming full, and fewer new sites are available. 2. Continue the demand for recycled materials – recycling is only viable if end-markets are created for the products made from recovered waste paper. 3. Place less strain on global forest resources – paper recycling optimises the use of a valuable material and reduces the amount of virgin pulp required. Although forests are increasingly managed in a sustainable way there is a need to reduce wastage by using more recycled content. Nearly 80% of the world’s original old growth forests have been logged or severely degraded. 40% of the world’s industrial logging goes into making paper and this is expected to reach 50% in the near future. At least 30,000 litres of water. 2. 3000 – 4000 KWh electricity – enough power for an average 3 bedroom house for one year. What Recycled Paper does Disruptive Printing use? We only use genuine certified Recycled Paper for all of our print works. Both 100% recycled papers and the recycled coated papers we use are all sourced from responsibly managed forests. Our Eco Print Paper “Cocoon Offset” is made from 100% Post Consumer Waste and is an uncoated paper with excellent whiteness (CIE 150), opacity and printability. Cocoon Offset is FSC recycled certified and PCF (Process Chlorine Free) in addition to being Carbon Offset.